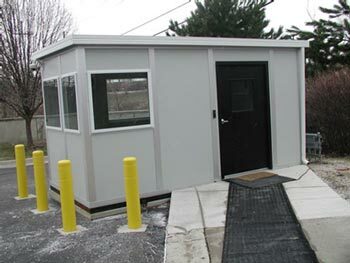 Whether you are expanding to a new site and want to be able to get staff in and working instantly, or need to add additional accommodation to an existing location, temporary exterior buildings from Easy Rack provide you with the perfect solution, and can be tailored to meet your exact needs. Thanks to our expertise in providing a wide range of modular and prefabricated buildings, we are able to offer a personalized service to provide your business with the space it needs to carry on. Exterior buildings come complete with all the power sources, windows and interior walls that you need, and can be up and running within a matter of days, rather than the weeks or months that conventional buildings require. While the exact specification of the exterior buildings that you choose will be tailor made to the requirements that you set out, the overall quality of construction from Easy Rack will be done to the highest possible standard, and include many impressive refinements to ensure that the building weathers well, and can provide your staff with high quality levels of accommodation wherever they need them. Standard construction of a exterior building can be carried out on a single day, because the majority of the actual building work is carried out at the factory. Once the building’s components are complete, they are shipped to whatever location you require, and the final construction process can be carried out by our team of professionals within a matter of hours. Depending on the local weather, your exterior building will include a number of special refinements to ensure maximum levels of performance and comfort. The walls are produced from two layers of sheet steel for strength. This steel sandwiches a layer of expanded polystyrene that provides excellent levels of insulation when in use. A layer of stucco is added to the outer skin of the wall, while the interior of the building can be decorated to your exact preferences to keep it in line with the rest of your facilities. The interior layout of the building can be specified at the time of ordering, and a wide range of different options are available, from a single large space through to a number of smaller offices depending on your needs. The structures are designed to be fully weather proof in use, and thanks to the quality of the materials used throughout the construction of these exterior buildings, they will last you very well. Unlike many competing products, which lack many of the creature comforts that make working offsite difficult, these buildings include everything that staff need and even have a pitched roof to avoid any problems with leaking in rain. This type of building is particularly suited to any company that must work on a variety of different sites, and has the advantage of being completely portable. Once work in a location is completed, the structure can be dismantled quickly by a team of workers, and then rebuilt in a day at the next location where it is required. Easy Rack carries a wide variety of commercial shelving, material handling equipment, commercial lighting, used pallet racks, and modular prefab buildings installed nationwide. If you can not find what you are looking for call us toll free at 1-888-776-3720 and we will find it for you. Our home office is located in Houston, Texas with warehouses located throughout the United States that enable us to service all 50 states including Memphis, Tennessee, Baltimore, Maryland, Irving, Texas, Amarillo, TX, Brownsville, Texas, Grand Prairie, TX, Pasadena, Texas, Fort Worth, Texas., El Paso, Texas., Charlotte, N.C, Milwaukee, Wisconsin, Seattle, Washington, Boston, Massachusetts, Denver, Colorado, Louisville-Jefferson County, Kentucky.